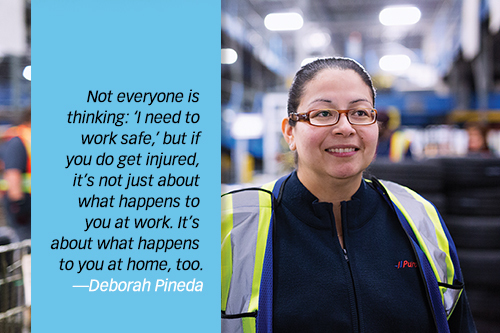 Deborah Pineda’s happy to do the heavy lifting when it comes to educating her staff at Purolator about the importance of avoiding workplace injuries by maintaining a strong core. After all, it is part of her job as the company’s health and safety specialist for B.C. and Southern Alberta. But it’s also her passion. “Not everyone is thinking: ‘I need to work safe,’ but if you do get injured, it’s not just about what happens to you at work, it’s about what happens to you at home, too,” says Pineda, who works out of Purolator’s Calgary terminal. “What’s going to happen to your family, if you’re providing for them? With an injury, it’s going to be difficult. “We can give you modified work, but once you get home to a three-year-old you need to take care of, and you have limited capabilities, what does that mean? And even if you don’t have children, it’s going to have an impact on your personal life. More than 20 per cent of workplace injuries—or one in five—is back related. Moreover, 80 per cent of the adult population experience some form of back pain, particularly in the lower back. Historically, it was thought bed rest helped people recover from back pain, but studies have since shown that not to be true. In fact, resting for more than a day or two may actually prolong pain and recovery in people with soft-tissue back pain. Pineda takes every opportunity to sing the praises of movement to her staff, and is always on the lookout for different ways to deliver the message. 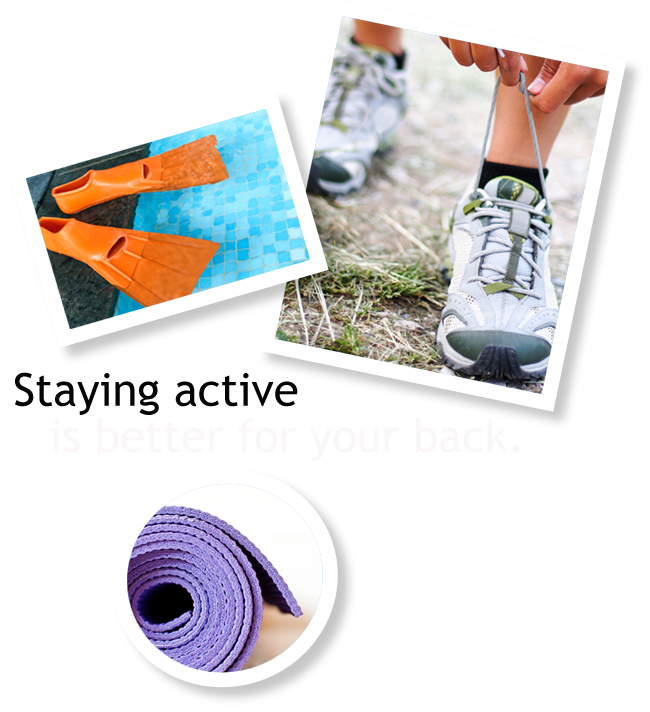 Last year, staff took part in Take a Walk Day, an annual event that promotes activity to maintain a strong and healthy back. It was a resounding success. “We had a great response,” says Pineda. “We all walk at work, but this was a different kind of walking. People were relaxed. It gave them a chance to be active, but they were socializing with their colleagues, too.